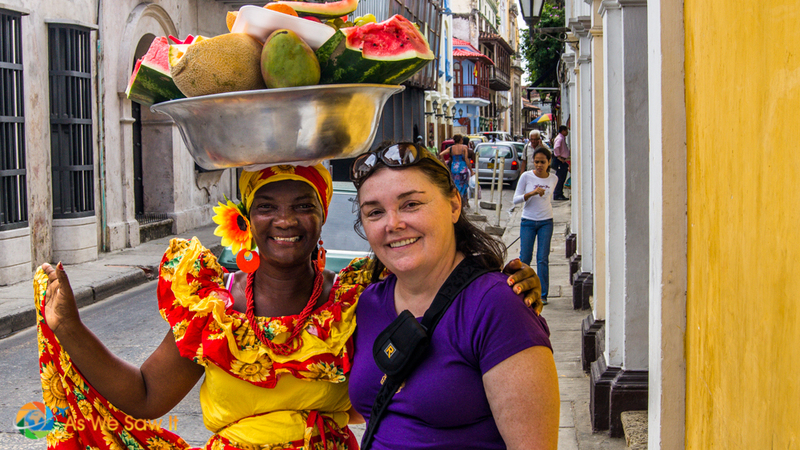 As Colombia’s most popular destination, Cartagena captures the heart of everyone who visits. The walled historic center, her colorful houses, the sizzling heat, and the friendly people are only part of the magic. The city also offers delicious food, music, beaches, and a history that is as interesting as it is rich. But some Cartagena icons are not originally from there. As a gateway into Colombia, the city has become a virtual ambassador, sharing the whole country's cultural riches. 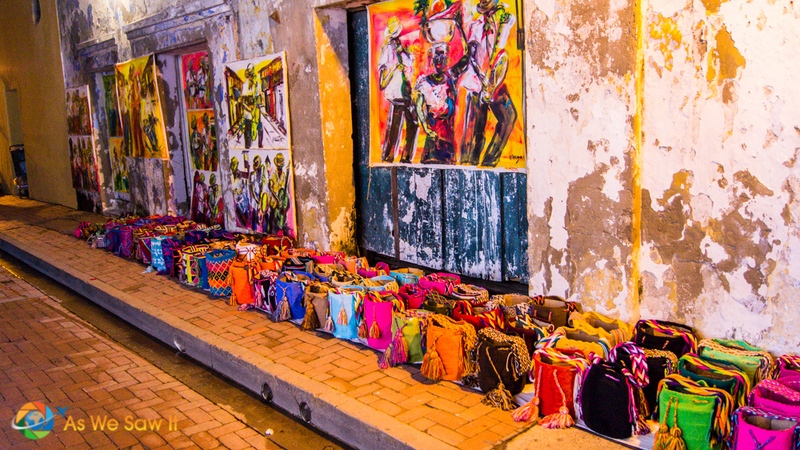 Travel like a local and learn about the origins of three popular items that decorate the streets of charming Cartagena that aren't originally from there. 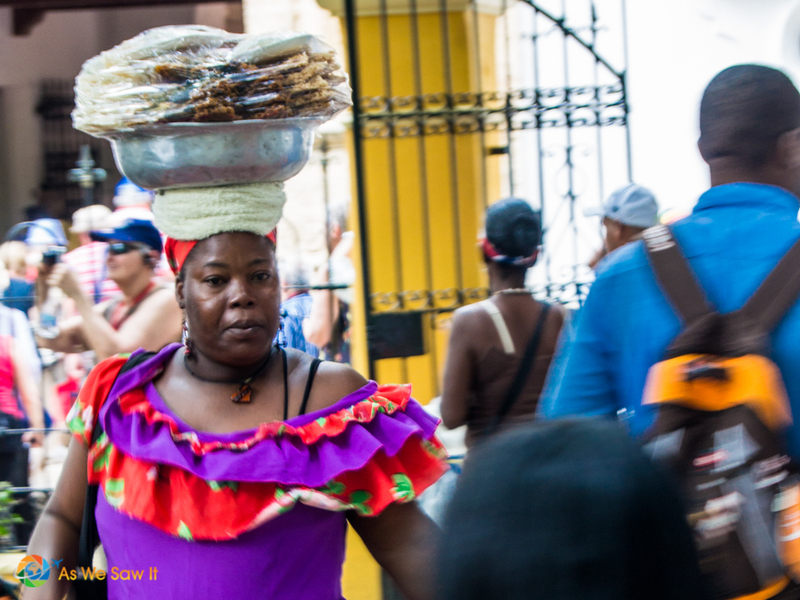 The beautiful women robed in colorful traditional garments and carrying baskets of fruit and other wares on their heads are one of the most well-known icons of Cartagena. The truth is, however, that the Palenqueras of Cartagena are actually from a community of Afro-Colombians who live in San Basilio de Palenque, a town near Cartagena. The small town was founded by slaves who managed to escape in the 17th century, and is considered the first free town in the Americas. The Palenque language is actually the only existing creole that mixes Spanish with different African dialects. People who hail from the community have protected and kept their traditions with faithfulness and respect. As a result, the town has been registered as a UNESCO Masterpiece of the Oral and Intangible Heritage of Humanity. Who doesn’t want to buy one of those exquisitely colorful crafts sold in shops and on the streets? 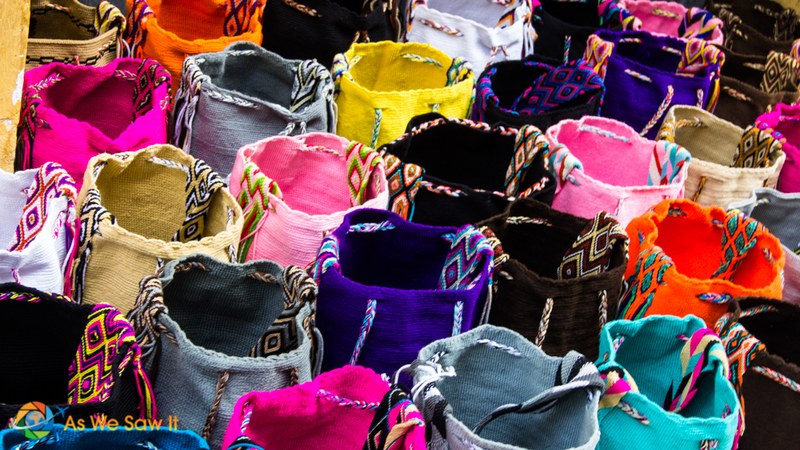 Those bags, keychains, and hammocks that are adorned with geometric shapes and vibrant colors are some of the most popular crafts in the country. While they are definitely Colombian, they are not made in Cartagena but come from the Wayuu people, an indigenous tribe in the Guajira department, the part of the Caribbean coast adjacent to Venezuela. Handwoven by Wayuu women, these traditional crafts are the main form of subsistence for many of them. They are also an important part of their cosmological story, as it is said that Wale’ Kerü, the spider, taught them the craft herself. The bag is the most important item, and has become a symbol of Colombian artisanal history throughout the world. In fact, it is an item that many Colombians are proud to own, as they believe in the importance of supporting the local economy and indigenous tradition. Tip: You can also find earth-colored bags for sale. They are popular with locals and are made by another indigenous group, the Arhuacos. They live in the mystifying Sierra Nevada de Santa Marta, a mountain range located along Colombia’s northern coast. 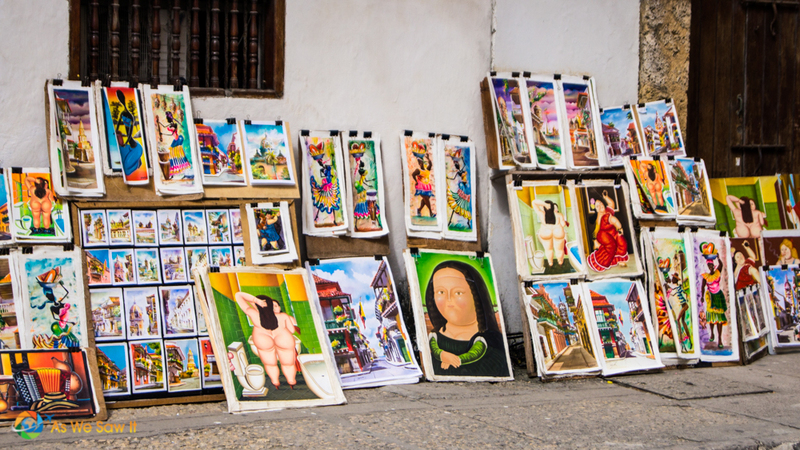 As you walk around Cartagena, you will find countless examples of the work of Colombia’s most famous artist: Fernando Botero. Known all over the world for his distinctive voluptuous characters, his work can be found throughout the city. Statues stand proud in plazas, souvenir shops are full of postcards with his paintings, and street stands showcase his iconic Mona Lisa and other famous works. 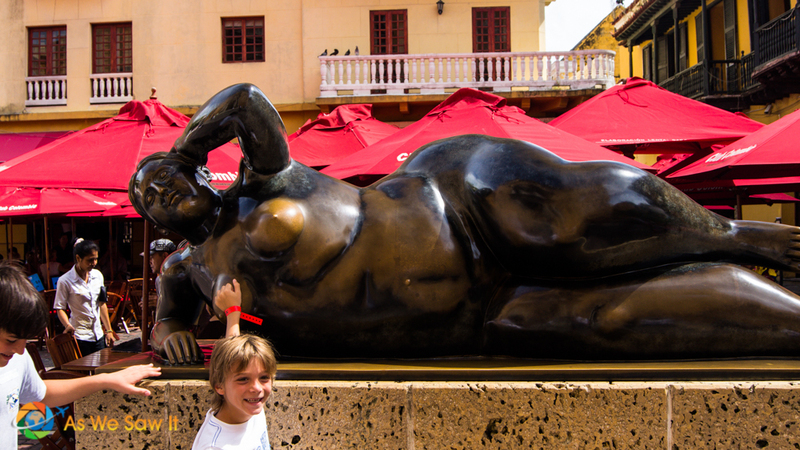 Cartagena does a fine job in keeping its artistic tradition alive, but Botero actually hails from Medellin. The Antioquian capital is justifiably proud to claim one of the most widely recognized Latin American artists as one of its own. His emblematic characters add beauty and flavor not only to Colombian cities, but to the streets of cities like New York and Paris. The moral of this story is: Cartagena is not just about Cartagena. It’s about Colombia as a whole. It’s about getting a glimpse into the history, culture, and tradition of a nation with a complex past and a bright future. So give into the energy of the city, and dance your way into the soul of the country. Cool post! Botero’s work is pretty cool, I’ve seen a couple different times in person. Yeah Jim, Botero is very creative. Where else have you seen his work? Whatever they have adopted the theme seems to be colour. I love the photos of you (that is you?) with the Fruit Seller with the tub on her head. You’re right, Jan, that is indeed me posing with the Palenquera, right after I had purchased some of her oh-so-sweet fruit. And speaking of colour, I’m working on an article about Cartagena’s beautiful architecture. Keep an eye out for it!